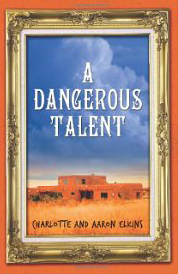 Charlotte Elkins, wife of writer Aaron Elkins, is a prolific writer in her own right. While working as an art librarian in San Francisco she wrote five mass-market romance novels under the pseudonym of Emily Spenser. Her books were translated and sold in more than twenty countries. But soon Elkins found that collaborating with her husband on mysteries was more fun. The couple's first collaborative book, A Wicked Slice, was published in 1989. 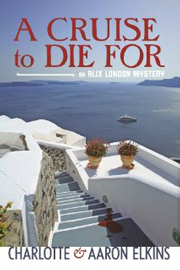 They were encouraged in their efforts when Publishers Weekly called the book 'an engagingly humorous thriller'. In between writing four more Lee Ofsteds, they also wrote short stories - one of which, Nice Gorilla, won the Agatha award for best short story of 1992. For more information on Charlotte Elkins go to http://en.wikipedia.org/wiki/Charlotte_Elkins.